The development of the V8 engine is one of the firsts in the General Motors company. The Cadillac has been in production since the 1902 year in North America making it one of the oldest vehicles still in active production. 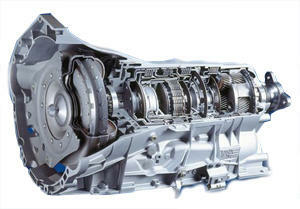 The strength of the motors in these vehicles is not overshadowed by the quality of the transmissions. GM has produced hundreds of different transmission units of which many have been used inside the Cadillac. The most common form of transmission found in these luxury vehicles is the four-speed. These have been offered as automatic units as well as standard shift designs. Most buyers who purchase a replacement Cadillac transmission in used condition request the vintage or late model builds. The turbo hydra-matic series produced since the 1950s served as the design of many of the Cadillac gearboxes used over the past 35 years. A sample of the used automatic and manual transmissions found here includes 4T60E, TH125C, TH440T4, TH400, 4L40E, 6L50, 4T80E and 5L50E. The Buick and Pontiac divisions of the General Motors company have used the identical transmissions found in most Cadillac vehicles. The test market for quality of the American automotive market usually involves the Cadillac brands. Names like the Escalade, Catera, CTS, Deville, Fleetwood, Allante, STS, XLR and SRX are featured in the available gearbox inventory listed here for sale online. The discount prices that are fixed to each unit found in the inventory here for sale makes customers happy. Each U.S. shipment that is processed provides a same day routed shipment to expedite all deliveries. Are rebuilt transmissions better than used? The costs that are involved with rebuilding a transmission can make the purchase price higher compared with a previously owned condition gearbox. The budget that a parts buyer has when shopping for a transmission replacement usually determines the type of unit purchased. The discounts applied to the Cadillac transmissions inventory online makes these units attractive to all buyers. Apart from the low price point, each of these units are featured with a dedicated warranty time frame. This provides up to 36 months of extended coverage after any purchase in the U.S.
A buyer interested in the available inventory found on this page can create a price quote request easily. A search box is entered onto each page of this website. This box includes a quotation form that requests a basic series of information about a Cadillac vehicle in need of a used transmission. Buyers complete this form to immediately view all in stock pricing and information about free shipping. This online quote request system is in comparison to the toll-free telephone number option that is provided. Callers of this number receive immediate access to customer support experts who know the Cadillac brand and GM transmissions. This method can produce accurate pricing as well as additional details about the entire used transmissions for sale inventory.